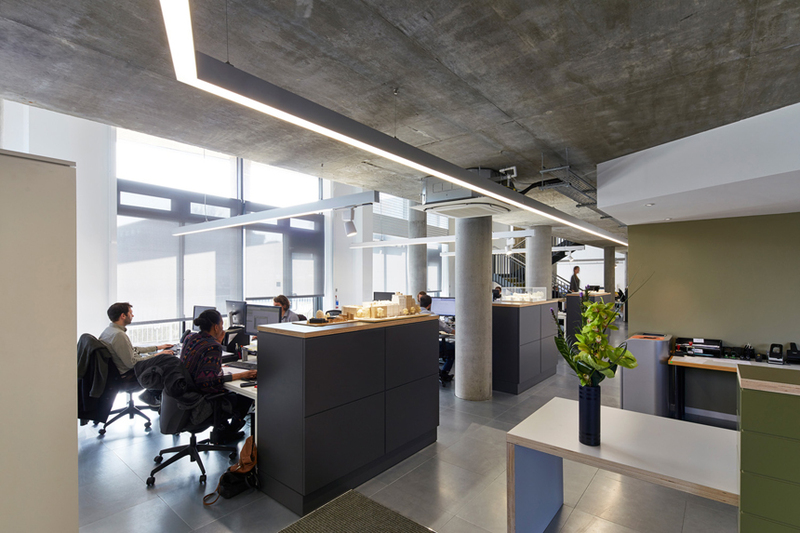 This is the 5,000sqft fit out of our own office in E3 to provide expanded accommodation arranged over two floors for workstations, breakout, model making, kitchen, huddle and meeting room spaces. 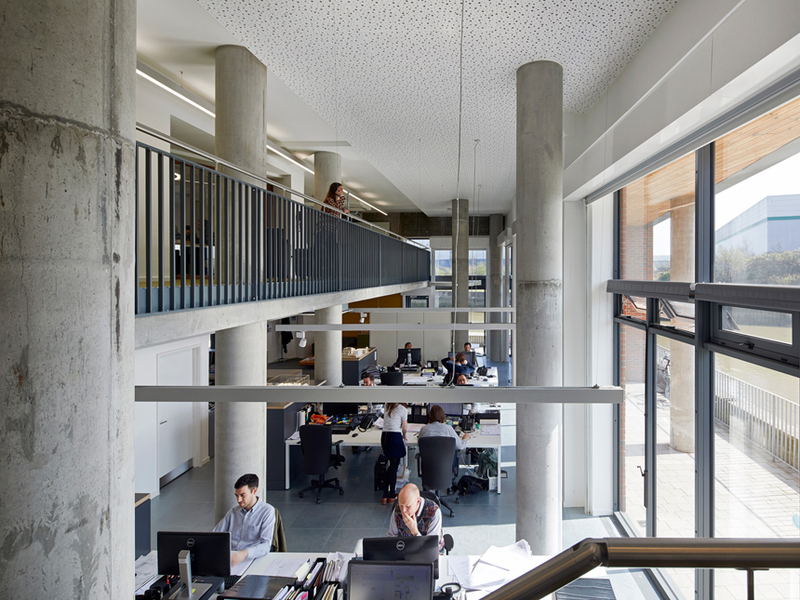 It exploits the host building’s large openings onto the River Lea and utilises its inherent thermal mass through exposed in-situ concrete. 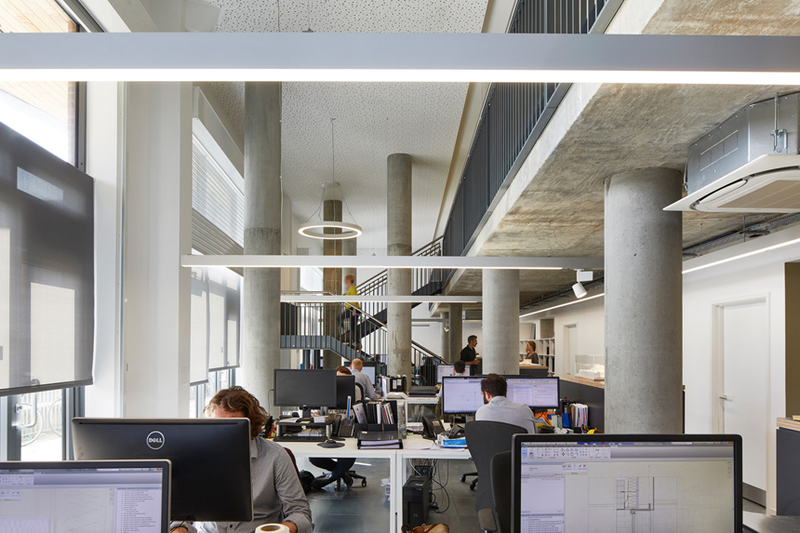 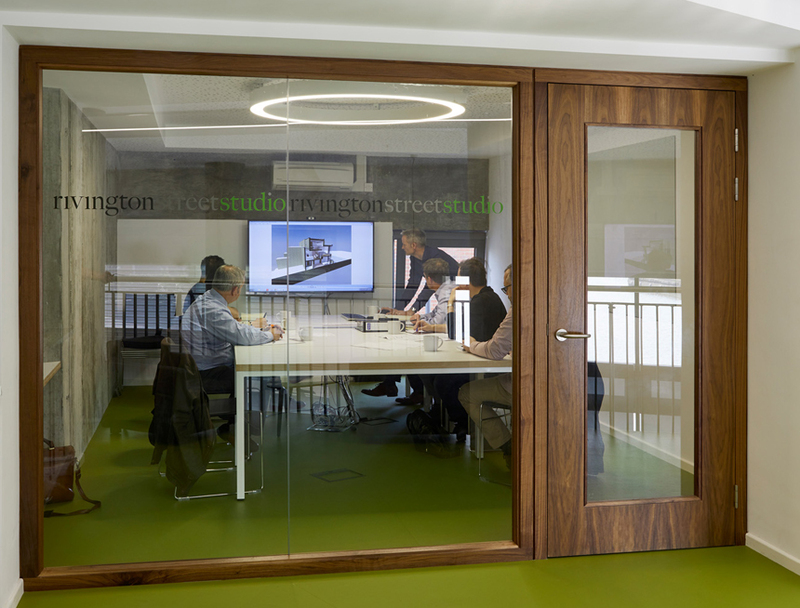 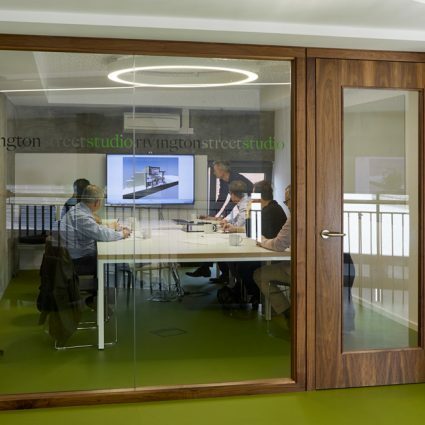 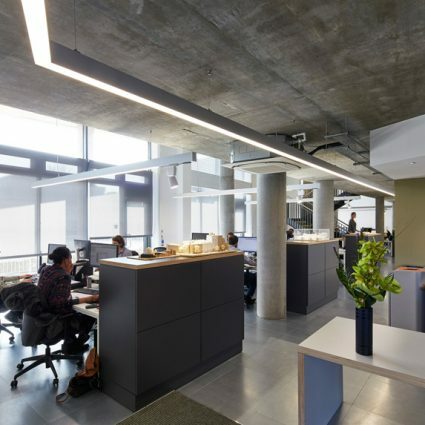 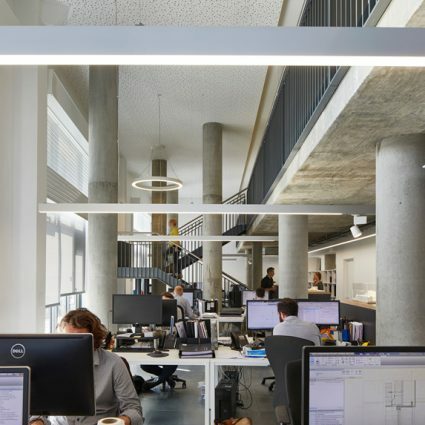 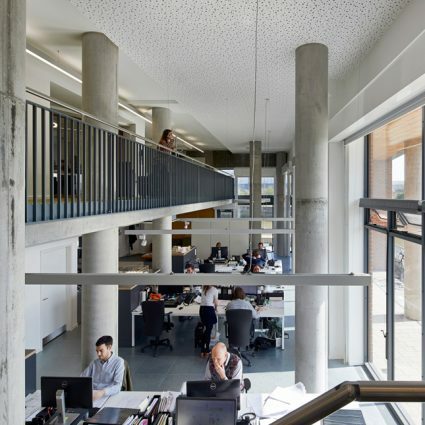 Bespoke furniture, walnut glazed screens, specialist linear lighting and acoustic linings complement the office’s industrial setting and a rational layout with a raised access floor and mixed mode comfort cooling provides expandable futureproofed space.